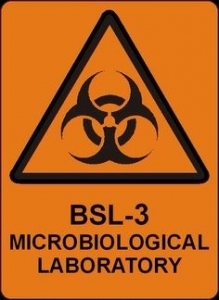 BSL3 or Biosafety level 3 labs are specialized labs working with highly communicable and pathogenic microbes often transmissible by way of inhalation. These labs can be found in clinical, diagnostic, teaching, research, or production facilities. Recently, a local vacuum network was installed in the Boston area for a BSL 3 laboratory suite. The project was a new addition to a health sciences facility. The group was looking for vacuum supply that was isolated from the rest of the facility, and they wanted to include vacuum in the most space-efficient manner possible, and hold to a tight project budget. Also, on this particular project, the installation of vacuum was a bit of an afterthought. The architects programming the project counted on using individual pumps throughout the biosafety suite, but owner learned about local networks relatively late in the game, liked the benefits, and brought us into this project. As luck would have it, one of the very nice features of local vacuum networks is that installation is simple, and because the networks have design features that allow for surface mounted valves and exposed tubing, it’s possible to design in these local networks late in the project without incurring costs associated with extensive redesign. The result here was a demand-responsive network. In this case, 11 work stations in 5 Biosafety labs were supported by one of our larger pumps. This time, the pump was installed right in one of the labs located in the suite, addressing the goals of isolation, space efficiency, and economical installation. Biosafety Level Criteria”. Biosafety in Microbiological and Biomedical Laboratories, 5th ed. (PDF). U.S. Department of Health and Human Services. December 2009. pp. 30–59. Retrieved 2 April 2016. Richmond JY. “The 1, 2, 3’s of Biosafety Levels”(PDF). Retrieved 2 April 2016.